Without further ado, welcome to Kilroy Joins the Army – Part XVII – FTC. The flight out from home was yesterday at 1 PM, landed at 9 PM EST, and caused me to lose three hours with the time change. By the time I was on a bus headed back to South Carolina, it was already 10 PM. We arrived at the node after 1.5 hours of driving, but once there it was another opportunity to sit and wait. It took over 3 hours to get us all processed back in and make it to the barracks. An hour and 45 minutes of sleep later, I am waiting for my urinalysis. Conflicting feelings about being here aren’t so obvious this time around. The return was an eventuality; something that had to happen in order to continue. The lack of sleep wears on me less these days, conditioned by the wear and tear that somehow has just become another part of life. A day that was otherwise unremarkable became a bit arduous. Having discovered I have a typewriter, the Drill Sergeant on duty decided to indulge his photography hobby and used me and my typewriter as the subjects. We spent a fairly large amount of time photographing the machine in various places and conditions. The whole experience was strange to me, a long series of moments that had me in the uncomfortable position of having my picture taken. Seeing the world underneath the theater is interesting; the perspective I’ve gained changing the core character of the experience. I’ve made progress finally. Today, I finalized my movement into the 1st part of 2nd platoon. With my new assignment comes new responsibilities for PT and a new colored belt, as well as new NCOs directly in charge of me. Progress feels good. For now I’m simply trying to do better and be better. A hectic day capped by annoyance and a significant change of pace. The vast majority of my day was spent dealing with problems that weren’t my own. After breakfast, a couple of us volunteered to go with a friend who was being reentered into training, carrying his things to help him get there. Instead of a clean drop off, we were stuck with him as paperwork messes occurred that required us to bring him back to the company, then lug stuff there, and then back again. The crux of the issue rested on a nonexistent brigade policy memo that required his packet to have the leave form that let him go on Christmas leave. Checking in with brigade proved fruitless and then a few hours later something cleared it up. After dropping him off at his new battalion, it wasn’t long until I was called again to be on the post flag detail to learn the ins and outs of the ceremony before we assume duties on the coming Monday. The whole selection for this duty seems like an egregious waste of time, about as useful as greeting cards. After a short period of personal time, the night was filled with yet more work. One of the DS staff requested my help with an online college course - Native American History - allowing me stay up until 2 AM to help him complete that. Hopefully the work I continue to do will net me a few favors here. Sleep remains elusive. The duties I’ve been assigned have robbed me of my time at both ends of the candle. Earlier wake up takes away my sleep, and duties as Student 1SG make it so my own down time throughout the day is filled with obligations rather than time to decompress. Coming back into more difficult exercises leaves my body aching, but I can deal with it. Healing up is my priority. My recovery is progressing well; the range of movement in my injury side is close to how it should be. Sitting cross-legged has become easy again, and the strength in my leg is definitely improving. The only issue for the moment is my balance, but that will get better with practice and time. The day seems to be full of annoyances. Trying to exchange my boots has left me stuck waiting at Reception. Today began with a cold that ate at our souls. The morning clocked in at 18° F.
My follow up appointment is today. I’ll be moved back to a status that will leave me cleared to run again. What a long road this has been. Soon enough I’ll be back into training and on my way outward and upward. My illness has progressed; I have a hacking cough and the feeling of mucus in my lungs to complement it. Morning workouts and classes had an intensity that wore me down today. Even spin class, which normally comes as the most fun I have during the week, came across as a chore. The high point of the day came in the discussion of the research CSF2 [Comprehensive Soldier and Family Fitness] is doing. They’ve taken my BCT journal and said that they want to include selections as part of an academic paper they’re working on with respect to the psychology of Basic Training. The day began as aggravatingly as predicted. I was tired for the morning workout, my illness preventing me from performing at full capacity. I ran my first consistent mile today since arriving at FTC. I feel accomplished but also paranoid. The pain has returned, like it did a few months ago, and it makes me think back to that research I read the other day. Apparently my injury is prone to bone death occurring in the affected bones, which would be catastrophic. I’ve passed my PT test. I’m still in pain though, and orthopedics wants me to have some more downtime before sending me back into training. They want me to wait two weeks and then we’ll see if I can move on. I’m surprisingly not worried about it now. Oddly enough, there’s no joy in this success. My body is better now, still in pain, but capable of more than I was before. They say the pain will fade and my recovery will be guaranteed. For once I’m believing them. With my success on the PT test, I’ve found good cause to relieve myself of the duties of Student 1SG. In truth I haven’t actually been doing it for terribly long, but I’ll be gaining a lot of personal time by not having to be responsible for those duties anymore. Moving on from here will be interesting. At the latest, I will be dumped back into week 5 of BCT. That leaves 3 weeks of real training and another of out-processing. My goal for the time being is the same: get to language school. The weekend has arrived, and there’s a feeling of mild anxiety for those of us who have passed our PT tests. We were told to pack and be ready for anything. I don’t know exactly what’s in store for me, but my order from orthopedics should prevent me from being shipped for at least another week or so. Today was a run day for PT again and my speed was hampered by the odd feeling of the pins in my legs during the run. I need to do it more to get the results I want, but the individual development of my pain seems to hold me back. Thankfully, after PT we got some free time. I had my doctor’s appointment in orthopedics this morning. I received my RTD [Return to Duty] from orthopedics and was told to wait out the rest of the week. The other fun point of this trip to the hospital was reuniting with a friend. The day was otherwise nothing to write home about. The weather has become our greatest, seemingly psychotic enemy. The temperature fell below freezing overnight, causing tensions to rise throughout the company and ended up with one of ours running amok and going AWOL. He ran away from the battalion area and across post to his old BCT unit. Apparently he had some sort of mental break. The majority of my day has been spent attempting to avoid things and duties, running around finding various tasks to keep me away from my usual activities. The graduate status has given me more leeway to do things. A trip to sick call to pick up a simple pack of seasonal allergy medicine instead turned into a medical examination. It led me to discover that my problem with hypertension has returned and now the military will be paying to cover it. Exercise feels good most of the time now, and I enjoy the work outs we do. My problem comes with the medication they’ve placed me on. It prevents me from raising my blood pressure for exercise, which has killed the effectiveness of my cardio and causes me concern. I know I can pass, the problem is that I’ll need to abandon the guidance from the PAs [Physician’s Assistants] to do so. Spin class was made supremely miserable by this complication. The rest of the day was spent without much action. I’ve been told that there won’t be any more clinic activity for me. I was instructed to stop attending clinic based exercises. I’ve also been told that I’ll be reentering training tomorrow. My preparations should take me through to the end, and this time the challenges I face will be familiar to me. Going back again will be a strange feeling – as I’ve been told by the CSF2 folks, I’m almost an outsider to the entire process now. I’ll continue to document and write for reporting. This ends Kilroy Joins the Army – Part XVII – FTC. The next entry in the series will have Kilroy back at BCT for his second round. Stay tuned for Kilroy Joins the Army – Part XVIII – BCT 2. Earlier in this series, we established the separation of firearms into three very broad categories: rifle, shotgun, and handgun. Each firearm category has its own purpose and role to play in the spectrum of usage. Let’s continue by taking a more granular look at the different types of rifles. The rifle category is defined by the lands and grooves carved down the interior length of the barrel, as well as the fact that the weapon is meant to be fired from the shoulder. These lands and grooves, called “rifling”, serve to impart a spin upon the projectile as they leave the weapon, making it more accurate at distance with the proper projectiles. In the broadest sense, the category of rifle is broken down by specific types of actions: e.g. bolt action, lever action, pump action, semi-automatic, and various types of single shot. In the current civilian market, the most popular rifles are generally within either the bolt action or semi-automatic category. Further expanded, rifles are also split up by their purpose, with common categories including hunting, sniping, assault, battle, and other terms entrenched in common parlance. These terms will be further explored in a future ZAUF article. Bolt action rifles are defined by their action; a manually operated bolt that is opened and closed to cycle a cartridge in and out of the chamber. Bolt action rifles may be loaded with an internal or external magazine, and may come in the form of single shot rifle with no form of additional feeding. 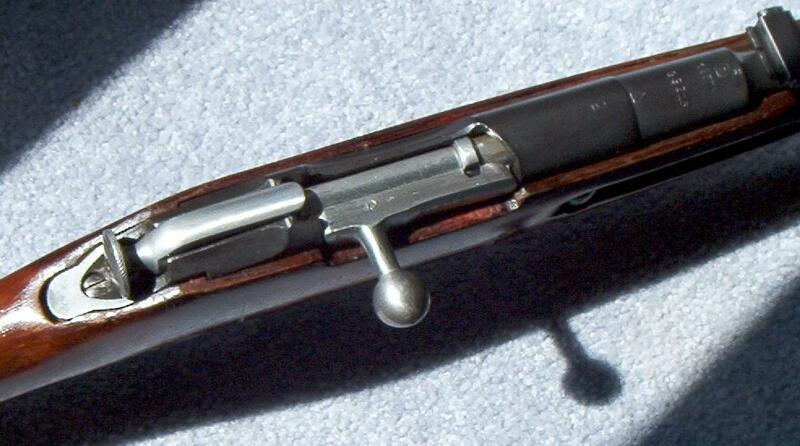 Variations of the bolt action operation usually come in the type of handle the bolt uses: left, right, or straight pull. Because of the particular way bolt action rifles operate, along with the greater overall strength of the mechanism, this type of rifle is able to reliably handle much larger and more powerful cartridges than other types of action. 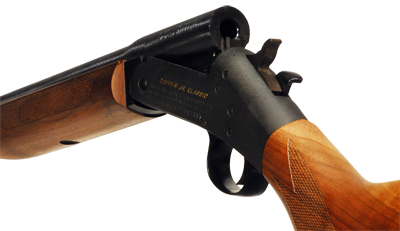 Lever action rifles are defined by the lever, usually wrapped around the trigger guard and grip of the firearm, which is used to cycle the action. This style of action is not as strong as its bolt action counterparts and suffers, generally, from an in-line magazine which runs underneath the barrel. 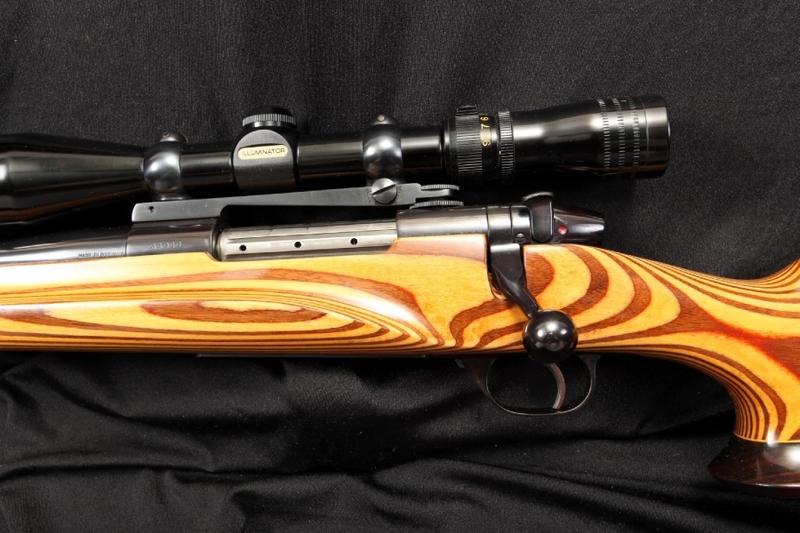 The particular quirk of this type of firearm means that most lever action rifles, unless fed by a box magazine, will only be available in calibers with flat-nosed or round nosed bullet loads in much lower overall strengths. This is because sharper nosed bullets line up in a tube have the unfortunate possibility of accidentally setting off the primer from an adjacent round. Pump action rifles use a pump to cycle the cartridge through the rifle in the same manner as a pump action shotgun. This type of action generally uses the same under-barrel linear magazine as their lever action brethren, though there are models which utilize a detachable box magazine. This type of action tends to be rarer in the rifle category than it is in the very common pump action shotgun category. Semi-automatic rifles are defined by their action self-loading the next available round through various means of recycling the energy created by firing a round, as well as by the fact that they fire only a single round every time the trigger is pulled. 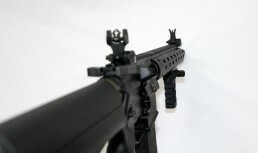 This is the key that differentiates a semi-automatic rifle from a fully-automatic rifle, as the latter is capable of sustained fire from an ammunition source with only one pull of the trigger. This category of rifle covers a very broad range of firearms available historically, as well as in contemporary production. Earlier historical examples tend to be fed via stripper clip into a fixed internal magazine, while modern production semi-automatic rifles generally opt for a removable box magazine for feeding. Finally, more niche single shot rifles come in a variety of actions such as break action, falling block, and various types of muzzle loaded rifles. Break action rifles are generally single or dual-shot firearms that are loaded by breaking open the action at the breech (toward the stock) end. Cartridges in break action rifles are loaded and removed by hand with some amount of spring assistance. A falling block action is generally actuated by a lever underneath the action (usually wrapping around the trigger guard), but requires manual action to extract and load any following rounds. Finally, muzzle loaded rifles hearken back to the days of the musket wherein powder, wad, and shot are loaded from the muzzle (business end) of the rifle and jammed back into the breech. 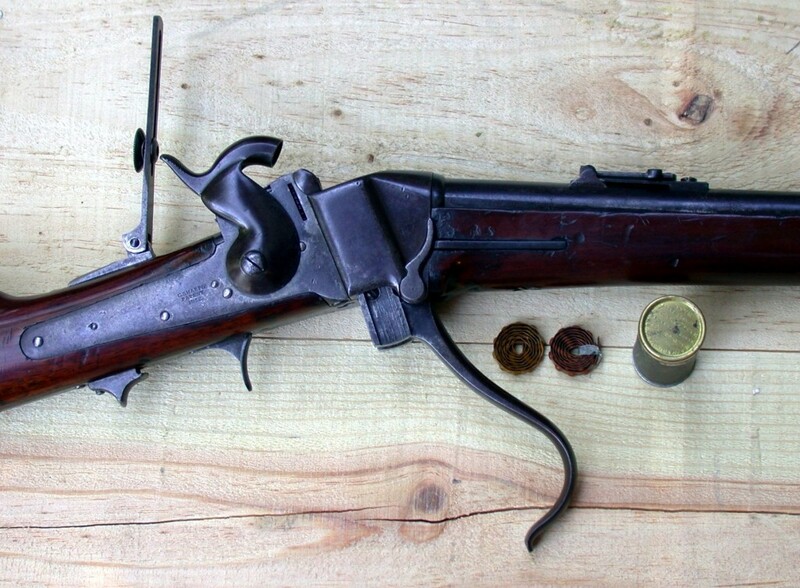 Modern black powder muzzle loaders continue to remain popular for hunting. This provides general overview of the types of rifles in some broad subcategories separated by their action types. There are many more distinctions that are available amongst rifles that will be covered later on.